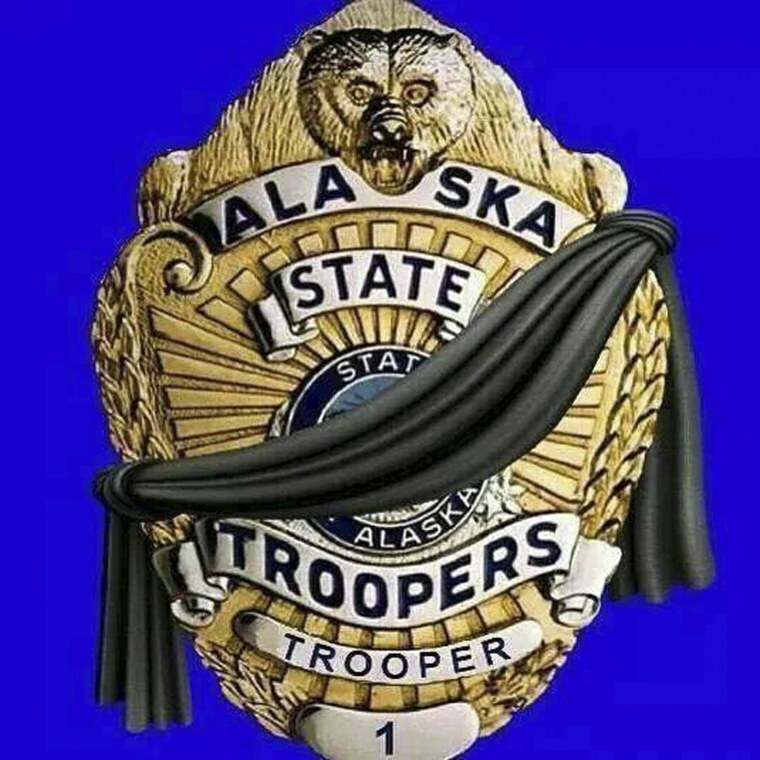 ANCHORAGE, Alaska — As two state troopers struggled to arrest his father, a 19-year-old man armed himself with an assault rifle and shot them seven times, killing them outside his home in a remote Alaska village, authorities said in charges filed Saturday. Nathanial Lee Kangas appeared in a Fairbanks court two days after Trooper Gabriel "Gabe" Rich and 45-year-old Sgt. Patrick "Scott" Johnson were shot to death. He was charged with two counts of first-degree murder and a count of third-degree assault. Bail was set at $2 million. After bail was set, the judge asked Kangas if he had anything to say regarding the bail. After a long pause, Kangas replied only, "I'm sorry," the Fairbanks Daily News-Miner reported. Kangas, wearing an orange jumpsuit, was escorted by officers into the court. Every seat was full, and the walls were lined with law enforcement officers of several agencies as Kangas faced his charges. Officers hugged and consoled each other at the hearing, the newspaper reported. Kangas' mother, Judy, and younger brother, Albert, each gave brief apologies. "I want to tell everybody, the families, from the bottom of my heart that I am sorry," Judy Kangas said as she choked back tears. The slayings of Rich and Johnson on Thursday in the isolated community of Tanana underscored the challenges law enforcement faces in this huge state. Like many troopers assigned to patrol multiple villages, Rich and Johnson were not based in the interior community of 238 people. They worked out of the troopers' four-person rural service unit in Fairbanks 130 miles to the east, and they had to reach Tanana by plane. Rich and Johnson, who had recently appeared on a national cable TV show about the Alaska State Troopers, had traveled to Tanana to arrest Kangas' 58-year-old father, Arvin, on charges of driving without a license and threatening the village's unarmed public safety officer, Mark Haglin. Haglin had received reports that the elder Kangas was driving around the village, even though he doesn't have a valid driver's license. After Haglin approached Arvin Kangas at his home, the elder Kangas pointed to a rifle and suggested he would use it if Haglin did not leave, according to the charging document. Haglin then contacted state troopers, who obtained an arrest warrant and accompanied him to Arvin Kangas' home a day after the confrontation. Arvin Kangas refused to cooperate with the troopers after being informed of his arrest warrant and tried to run inside his home, according to the charging document. The troopers pursued, and a scuffle ensued, according to the document. That's when Nathanial Kangas appeared with an assault rifle and shot them, according to the charging document. He then pointed the weapon at Haglin, but lowered it and Haglin was able to flee, the document says. Haglin called for help, and with the aid of other community members, was able to detain Nathanial Kangas until more troopers arrived, the charging document says. Once Haglin had him, Kangas "spontaneously stated that he was sorry for doing 'it' and that he shot troopers because the troopers were wrestling with Arvin," the documents say. Arvin Kangas was also arrested and is being held in Fairbanks.